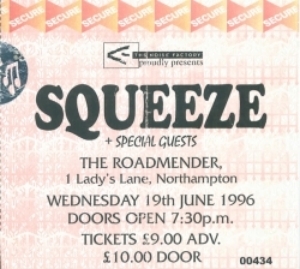 3 Responses to "Squeeze – 19 June 1996 – The Roadmender Northampton"
I was at the Squeeze gig at the Roadmender in 1996 – it was fantastic – can anyone remember the name of the supporting band – I brought their CD and it was great but I have now lost it and cannot remember who they were – it was a local band to Northampton…. 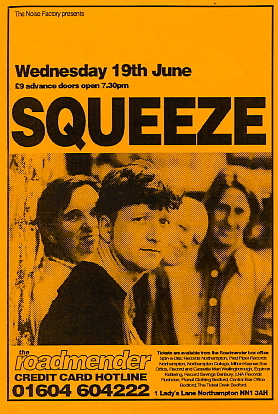 I was 15 years old and on work experience at the venue. I put the posters up, watched them sound check and went to the gig! 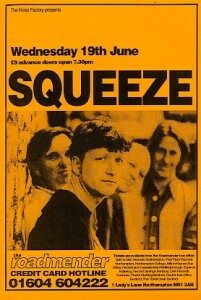 It was my first ever gig too, and I’ve adored the band and their work ever since. Thanks so much James – so great you let us know about such a great early experience. What a fantastic first gig – and the soundcheck too!